This fun fraction game is from The Basement! Each player gets their own set of fraction strips (1 whole, 1/2, 1/4, 1/8, and 1/16). The game board is the "1 whole" strip. 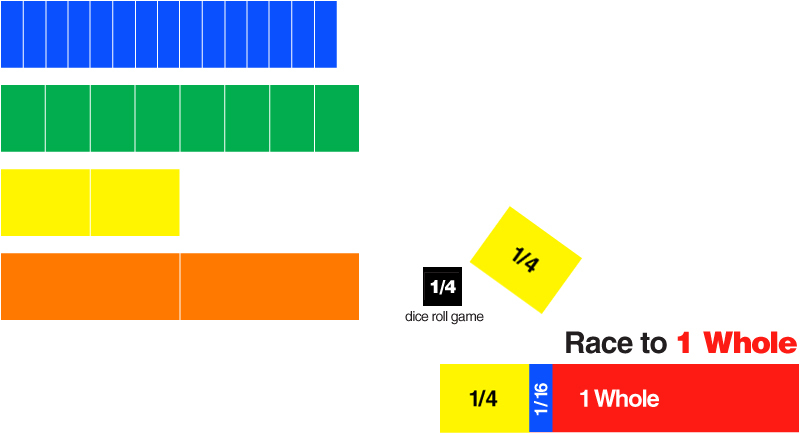 Players take turns rolling the fraction die. Their goal is to fill up their strip first! Check it out here!